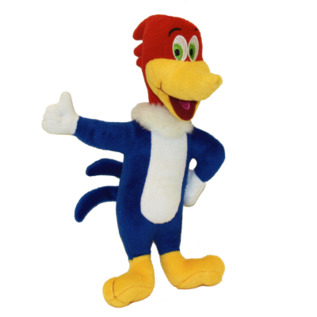 Multipet Woody Woodpecker Dog Toy, 11"
Who could forget Woody Woodpecker's laugh! Every time a dog squeezes the center, Woody's unforgettable laugh plays. This soft plush dog toy is perfect for fetch! *Contains batteries. For more information, visit Multipet.